With the rise in the popularity of all white kitchens, and retro European style baths, white Carrera marble has become a sought after choice for many homeowners who love the rich look and feel of traditional white marble. When you get right down to it, nothing really compares with marble. This is the perfect tile for both kitchens and baths and there are plenty of ways to redecorate with it. 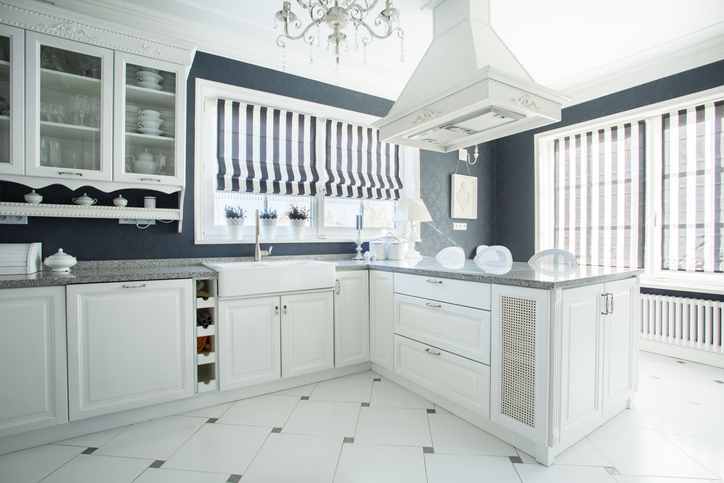 For your kitchen tile, white Carrera marble can be a chic addition on your kitchen floor or walls and can add sophisticated elegance when it is front and center on a kitchen island. Polished white Carrera marble gives any kitchen a contemporary ambience, but is not the best choice for flooring as it can become very slippery when wet. Honed white Carrera marble tile provides a warmer, earthier feel in the kitchen for counters and walls and will not scratch or etch as easily as polished marble tile. Carrera as a bathroom tile works well on the walls in the shower area. Or perhaps you have a bathtub that needs a revamp from its old look; a mosaic Carrera look is absolutely perfect for this occasion, especially when you want that natural relaxed look. Carrera marble can also be the background that highlights your bathroom vanity, bringing the vanity details to full view highlighting major attractions like the faucets or the traditional design. White Carrera marble tile is made of natural stone, so it is resistant to splashes or spills but it can be a bit demanding to maintain. If the thought of regularly resealing your marble every six months feels unrealistic, consider the many options of faux Carrera Marble tile that look good, will work perfectly for most kitchen and bathroom projects and can be more cost effective. Marble, with its pros and cons is truly an authentic look that over time develops a lovely natural patina. Perhaps that is why it has been the stone of choice for hundreds of years in many European restaurants and bakeries. 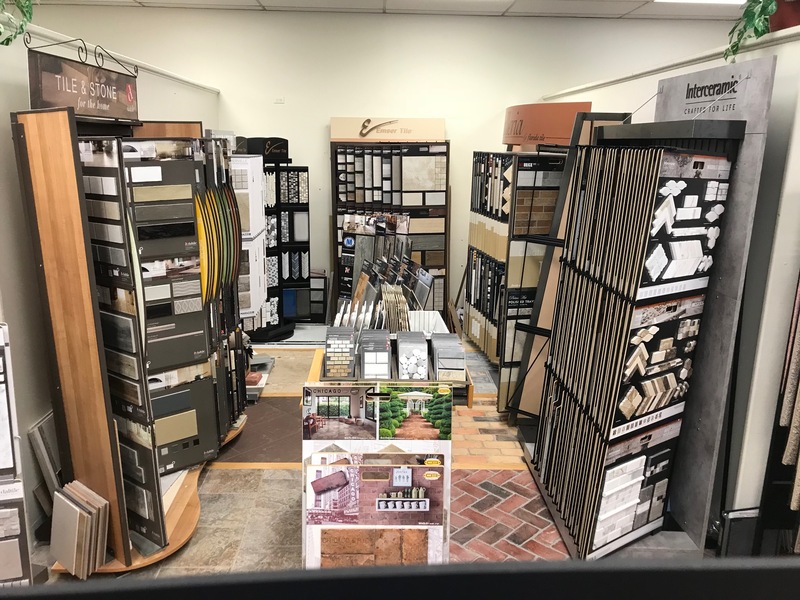 Be sure to stop by our newly expanded Showroom and a take a look at our latest selection of tiles. The popularity of hardwood flooring surfaces over carpet has become a trend in 2018. New innovations in flooring like wood-plastic composites (WPC), rigid core luxury vinyl and high definition printing, as well as the many option in hardwood, ceramic, engineered and solids have changed what today’s homeowner’s want when it comes to flooring. Recent technological advancements in flooring come together to make luxury vinyl tile the fastest growing category in flooring options. According to BuilderOnline.com, previously LVT/P (luxury vinyl tile / planks) found wide acceptance until WPC came along with improvements in both performance and design. The surge in popularity can be attributed to the many formats available. Embossed-in-register design capabilities, strong visuals and waterproof features are grabbing the attention of homeowners. Combined with improved and more flexible installation and a wide range of price points luxury vinyl leads the way in demand. 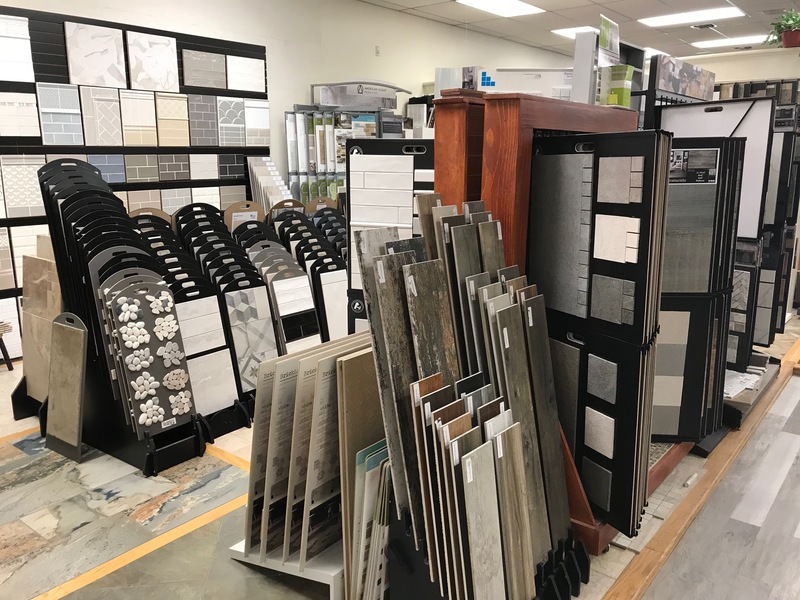 The durability, style options and easy maintenance of ceramic tile keep it a strong contender when it comes to flooring. Larger format ceramic, rectangles 12 by 24 inches and larger, continue to dominate, aided in part by porcelain’s ability to perform even in these larger formats. Slabs as large as 5 feet are starting to capture attention, especially on signature spaces of the home. Traditional hardwood flooring is still a favorite for it’s natural beauty, elegance, and durability but is now facing competition with most other flooring categories that try to emulate the natural look of hardwood. Longer, wider engineered boards with striking visual and surface finishes remain popular. 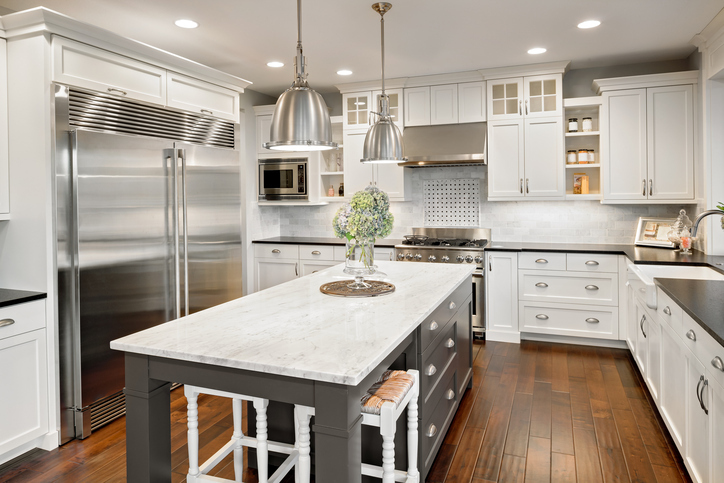 Hardwoods with gray undertones that provide a contemporary look are gaining popularity but hand-scraped looks that offer more character are starting to decline as a first choice for homeowner’s.